Cleveland is a great place to call home. Home of the Rock and Roll Hall of Fame and filled with a diverse group of people, there are a number of benefits of living in the area. However, multiple residents had a problem with flooding in their yards. Luckily city leaders in Cleveland are proactive, and they have taken the final step toward the implementation of a drainage project from 13th Street to 8th Street. Because of delays in obtaining a final easement, the project has been put on hold, but the Cleveland City Council authorized signing the agreement recently. During the course of the project, workers will be installing two storm water drain pipes and another manhole near the McReynolds parcel. Completion will require the removal of two trees which will be replaced along with the installation of downspouts from the property owner’s home to the upgraded drainage system. This advancement has captured the attention of other area residents, and some are requesting work on their drainage systems. If you live in an area that is prone to flooding, there are some things you can do to decrease your risk of sustaining water damage. For starters, on a weekend when you don’t have anything to do, spend some time inspecting your gutters and making any necessary repairs. This is also a good time to clear them of any leaves or debris to help facilitate smooth water flow. Just as the City of Cleveland will be doing for one property owner, the installation of a downspout is an excellent flooding deterrent. Downspouts encourage the flow of rain water to lower elevations away from your home, and there are professionals who can help with the installation at a reasonable cost. Another proactive step worth taking is to anchor down and raise outdoor equipment such as central air units, fuel tanks, and generators. Not only can units such as fuel tanks break free during flooding conditions, but they can also release harmful pollutants into the ground. While it is important to take preventive measures if you know your area is prone to flooding, if you have already sustained water damage, it is time to call in the professionals. While tools such as sump pumps and fans can help you begin the water extraction and drying process, you likely do not possess the latest in drying technology. Experienced professionals know exactly where to start on the water removal process, and when you utilize their skills and tools, you will have the best chance of a full recovery. 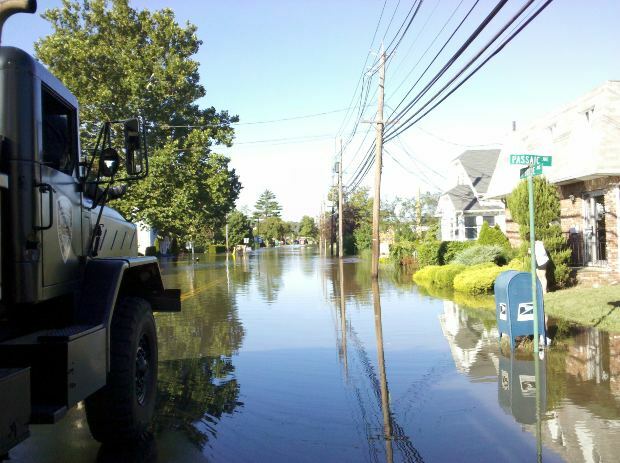 Flooding can pose serious structural risks to you home, which is likely your largest financial investment. Procrastination of the restoration process can lead to the development of harmful spores, fungus, and mold that can pose serious health risks to you and your family. While it may seem tempting to save money on professional help, consider the investment one that will ensure your home is safe and secure.